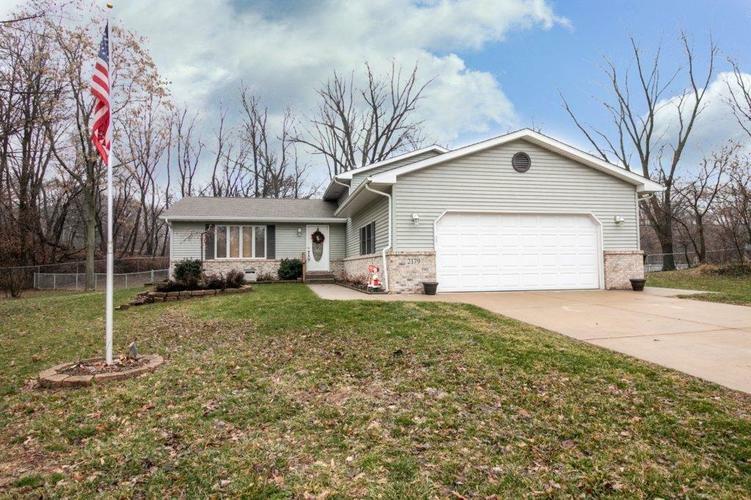 Welcome to this immaculate Tri- Level Home with 4 bedrooms, 3 bathrooms and 2.5 heated garage. This beautiful home has new hardwood floors in the Livingroom which flow nicely into the dining room and kitchen. The rest of the floors are carpet with ceramic tile in all bathrooms and the foyer. As you enter the home to a spacious living room which flows well into the dining room and kitchen. The kitchen has plenty of space and new granite countertops. The lower level has 1 bedroom and 1 bath and the perfect space to enjoy with your family and friends. The upper level has 3 nice size bedrooms, 1 full bath and the master has its very own bathroom. Now walk outside on the large deck with a fenced yard. This home is move in ready. Hurry and schedule a showing to see this beautiful home while you still can! Directions:Willowcreek Rd., go east on Portage Ave., turn north on Washington, turn east on Federal and north on Madison. Listing provided courtesy of Century 21 Alliance Group.